After seeing one of my most favourite PC game from my childhood to get this VR treatment was nothing but a awesome feeling. In this year itself we've seen the VR version of many of our favourite childhood games like the game named Breach it which is based on one of the most engaging game back in the day; Rainbow Six: Seige's, and it is borrowing its destructive environment, and now we have Pavlov VR, which is looking very similar to the extremely popular CS:GO (Global Offensive). Full Disclaimer: This post will be more of my experience with the game rather than a game review. You can know more about the game yourself by visiting steam here. 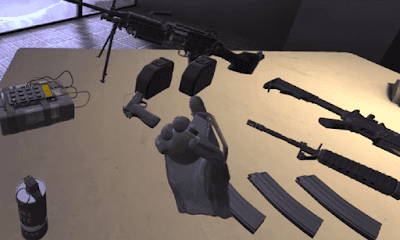 As i understood while playing Plavlov VR is that we will assume the role of a soldier on either of the two teams(It's not necessarily a terrorist-counter terrorist thing!). The game can be based on either a death match setting, destroy game mode or maybe a competitive search. In the Team deathmatch the game is fast paced and you respawn very quickly as one team tries to massacre other team. Whereas in search and destroy, the game is more focussed on a very strategic approach that usually requires a team to destroy the other teams one of the two target locations (just similar to the CSGO) by planting a bomb (similar to but not exactly terrorist) while the other team is trying to defend (similar to but not exactly counter terrorist). The experience is very different on both the games the only thing similar to these two games is the intense encounters and adrenaline fueled moments that CSGO fans have enjoyed over the years. The only difference will be that these games are now availlable in VR and that really takes the experience of gaming on another level of adrenaline rush. For instance the first game i played was having a very similar vibe to the Modern Wareface 2 map known as "Rust" that i am sure many of you will remember as a very deadly map. It's intensity was even high in this game, as this is in VR(obviously :P), This game made me remember those days of Modern Warfare 2. Also the reason Pavlov has this map is because this game has steam workshop compatibility, and any game which has this compatibility can make the maps for everyone to play, and this is needless to say is huge. 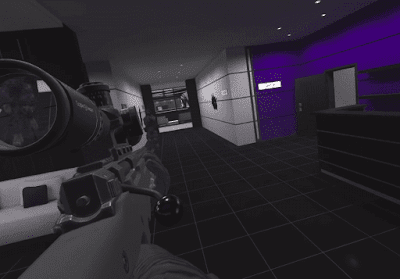 And that is the reason why we're seeing the popular maps of CSGO like the Dust 2. 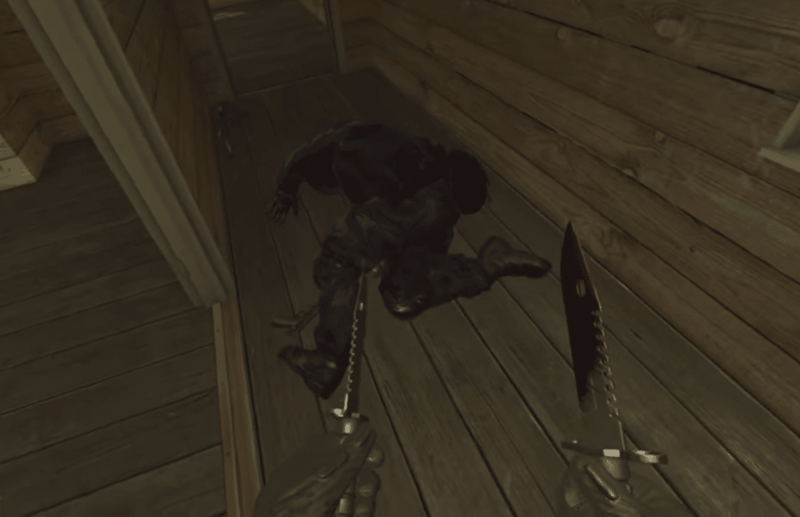 Pavlov has all kinds of Weapons to play with for anyone who was wondering, the weapons range from knieves and assault rifles to shotguns and grenade. And it is needless to say that each weapon has its own speaciality and requires you to interact with it in a speacial unique way while either firing or reloading, they did this to make it seem like a real like couterparts. And it becomes a satisfying experience if done correctly. But as the match progresses and the heat of the game increases this real life thing can turn into a rather comical experience as is seen in a video i have linked down below. And for this reason only the game has a offline mode as well where you can play in practice mode where you will find fully stocked with bots so you can test the waters and get a feel of the game so that does'nt make you look like an idiot in front of your friends as you keep on shooting your own team mates or maybe toss a granade on your own team member. In the offline mode (with bots), there are two modes available, both with upto 10 players. In the Team Deathmatch, it is a casual game where you run with guns and upon dying you respawn almost instantly, while in the other mode, Search and destroy you have to defend the bomb site while the other other team plants the bomb(very similar to the online mode as discussed above). In this game once you die, you have to wait for the respawn until the next round. If you're impressed about this game now and have decided to purchase it then before you do, let me warn you that the game's graphics are not the best. In the graphics department the only compartment where the game shines is it has realistic looking weapons, and the maps looks well lit, the models have clear and crisp charater models and also the game has decent level of details, nothing extraordinary! just decent. The developers of the game "davevillz" has announced that they're working on the graphics and that they will try to make it better. However if i talk just about me then the graphics are just fine and does'nt disappoint or take away from the overall enjoyment. Coming to the audio quality, it was just above average, the part i liked was that each weapon has a very specific sound and that was great to hear. One thing which is disappointing is that the maps are not having any ambient sounds/noises but the blessing in disguise is that the resulting silence did make the footsteos easy to hear. And by the way i've reviewed this game on - HTC Vive and i think this is one of the best tech out there to handle a game like this but anyone having a Oculus Rift should not feel disappointed as this device also handles this game like a charm. OOB stands for "out of the body", a teleport variation but without actually teleporting. You move into the target Location while you snap every half a second to it. + There are both private and public online games at this moment. + The controls are very intuitive and Responsive. - Currently there are not many maps available. - The game still feels buggy. - Graphics of the game is not the best. As far as the user ratings are concerned, The Average user rating is "9" according to steam. However, i rate this game a solid "10". For me personally this is a very fun game, which friends can play to hangout. This game is continuously gaining traction and number of live players is increasing continuously especially when the big Players like Pewdiepie are starting to stream the game. Pavlov VR is actually using the Unreal Engine. And it is known that EPIC Games (which owns Fortnite) has the registered trademarks of Unreal Engine in USA and elsewhere in the world. I found this thread on reddit very Intresting/Informative. 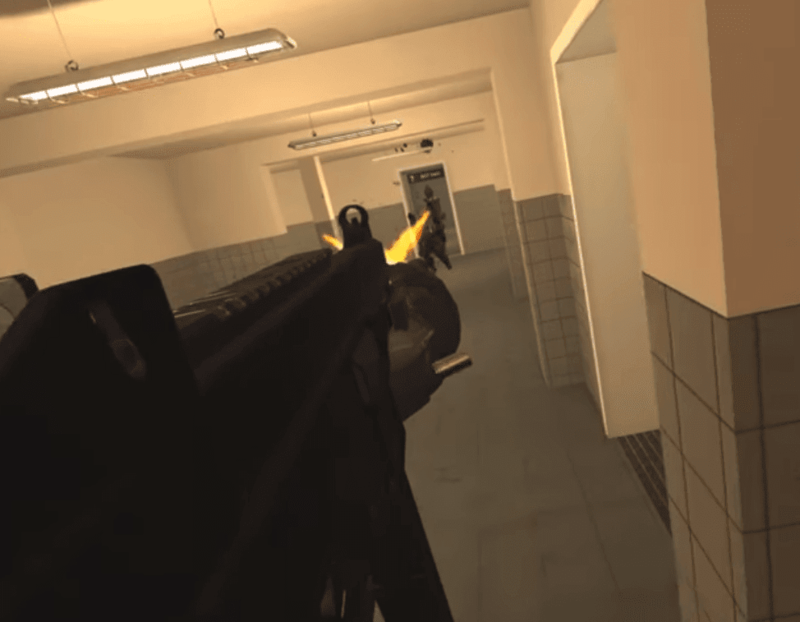 Pavlov VR is available on steam here. Below are the prices depending on which part of the world you live ! I like watching Ctop's Pavlov VR gameplay(s), check him out, he's a really cool guy!